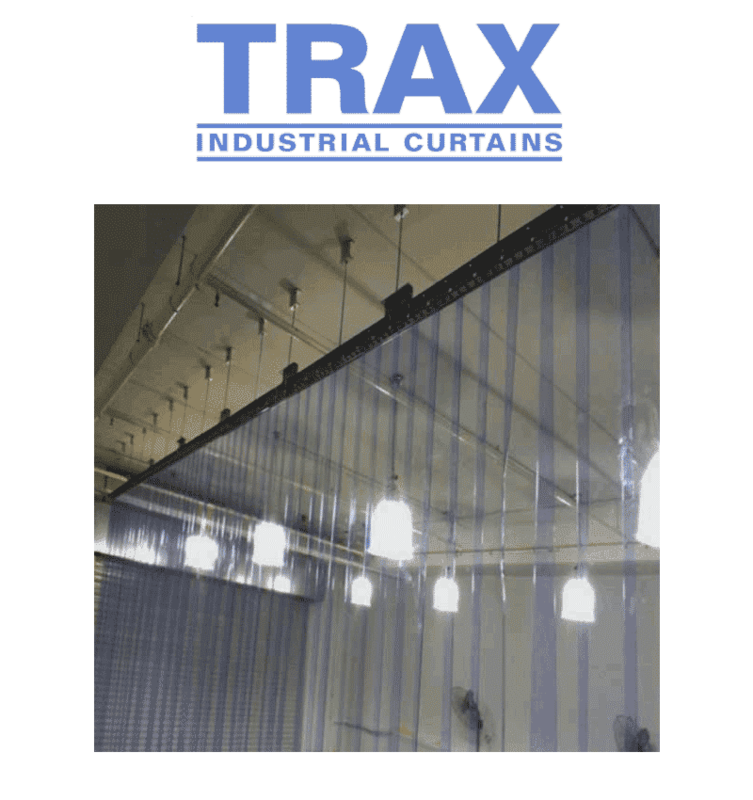 TRAX Strip Doors are being used to effectively control temperature, dust, drafts, noise and fumes in a wide range of industrial facilities, commercial buildings, and retail establishments. Click the button below to request a quote or call us for more information. Why choose TRAX plastic strip doors? TRAX strip doors save energy dollars by controlling temperature as well as serving as an effective barrier to dust, drafts, rain, noise, and fumes. When used in refrigerated or temperature controlled environments, TRAX Plastic Strip Doors lower your energy bill. In addition to the strip door industry's widest array of materials, all TRAX Industrial Strip Doors are provided with Safety Border Strips (orange or red) at no extra cost, and can be purchased with a variety of hardware systems for header, wall, overhead door, and/or rolling track installation. TRAX industrial strip doors are available in three distinct styles - Tear Drop Edge, Full-Rib, Econo - all of which are formulated in standard and low-temperature formats. TRAX offers the widest array of Plastic Curtains for warehouses and other facilities. 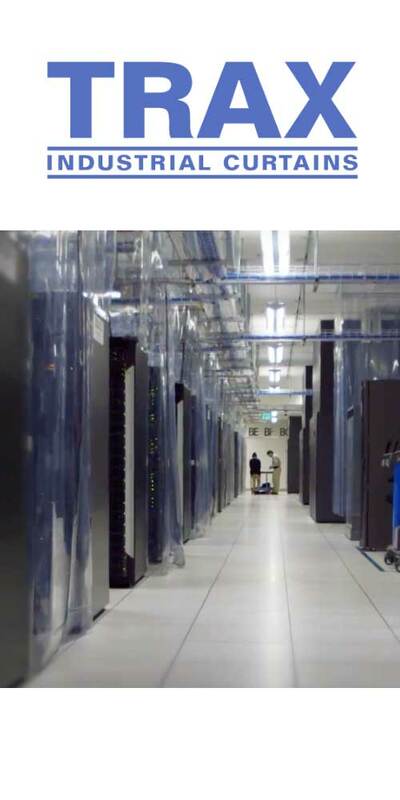 Specializing in data center containment, clean room curtains, laser barriers, curtain walls, plastic strip doors, airport draft curtains, TRAX takes pride in fabricating custom products to fit the specific needs of each and every application presented to us by our customers. TRAX plastic strip doors hang straighter, overlap better, resist tearing and generally outlast all other types of strip materials.